I have been a fan of TOMS for some time now; their range of products are well made, with a style to suit everyone. An advocate of ethical fashion, TOMS is a brand that ticks all the boxes when looking for shoes; as a brand they have a clear eye for detail and style, as well as the environmental and social impacts of their products. The selection of TOMS shoes available are made from the very best sustainable (and vegan!) materials, including natural hemp, organic cotton, as well as many other sustainably sourced materials. Even their shoe box packaging is made from recycled waste and printed with soy ink. TOMS ‘One for One’ initiative, has resulted in over 70 million pairs of shoes being given to children in need across the world, they have also supported some hugely important charities over the years by joining forces and raising awareness of a wide range of social and conservation causes. 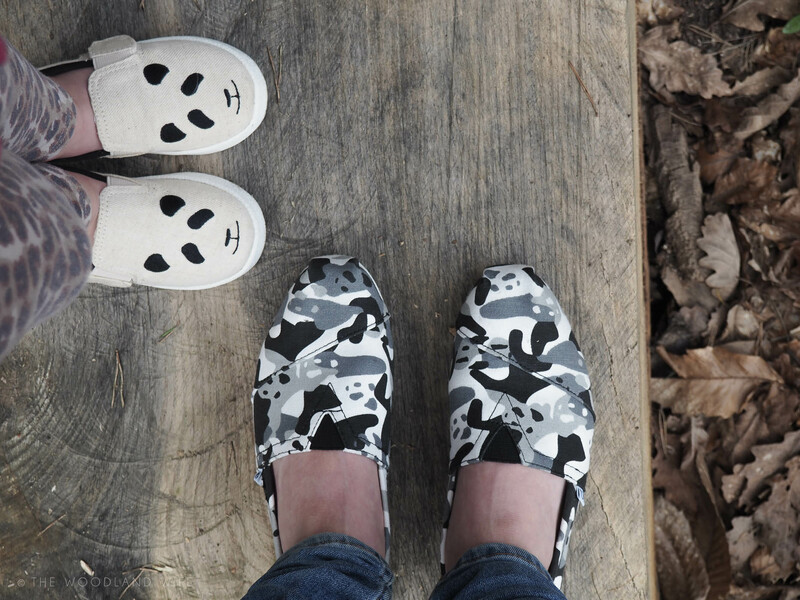 TOMS have launched it’s SS17 WildAid Panda Collection in partnership with WildAid. 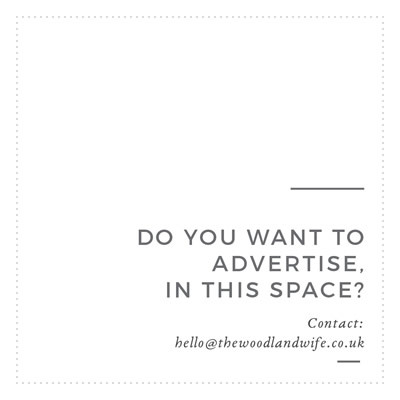 WildAid is an organisation who’s aim is to raise awareness and educate on the Giant Panda’s plight, also educating those who live close to the Great Panda’s habitat. This is of vital importances, as there are only 2000 Great Pandas left in the world, so their existence is in an absolutely critical condition. Though our furry friend is much loved, there are fewer than 2,000 giant pandas left around the world. The limited edition SS17 Panda Collection, includes adult and childrens’ styles. Children have a the option of a fabulous whimsical version with an embroidered panda’s face or the same camo-inspired panda print version as adults. 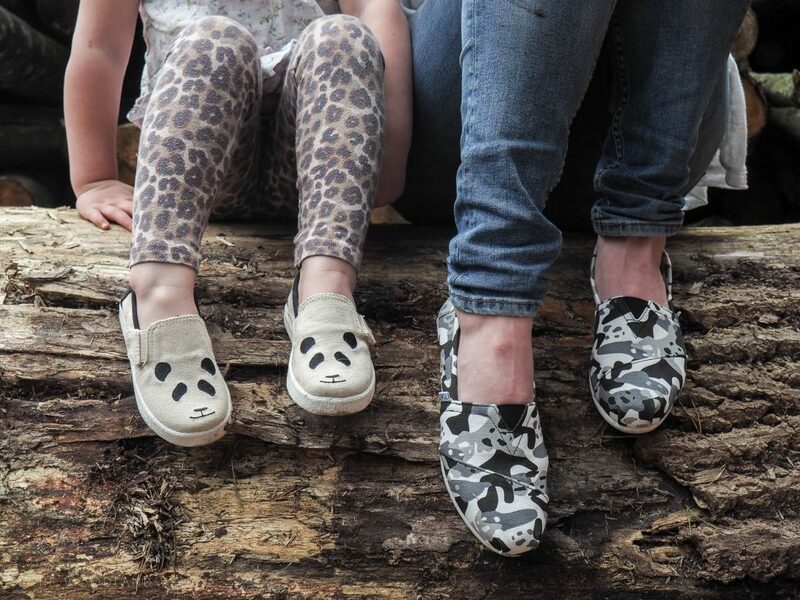 As with all other TOMS shoes, these limited edition shoes are incredibly comfortable and my daughter has been wearing them with huge amounts of pride, telling anyone who comments on them that she is “protecting pandas” wearing them! 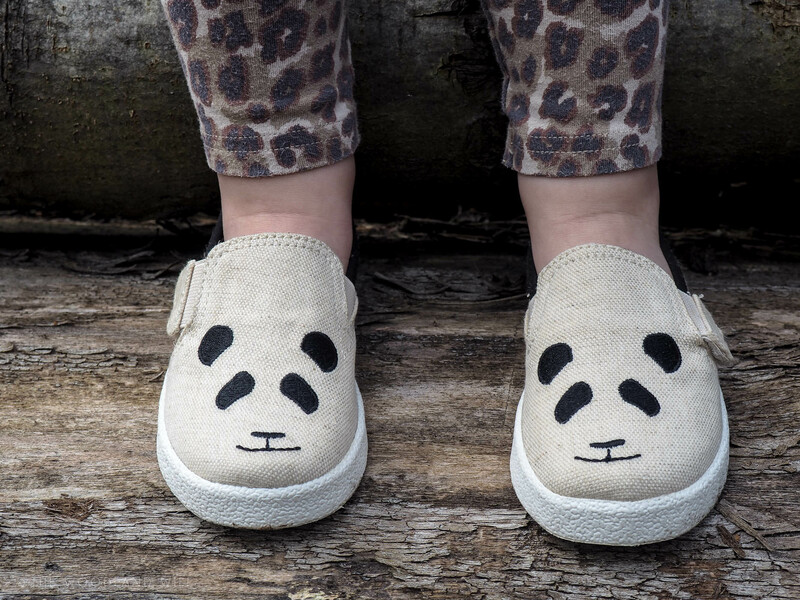 When opening her shoe box, I did have a touch of the ‘Green Eyed Monster’ when I saw how lovely the embroidered panda style was; with it’s natural canvas, sweet design and velcro fastenings I wished that my feet would squeeze into her pair! So the only grumble I have, is that I would LOVE a pair of the embroidered pandas in MY size, as well as the camo-inspired pattern! 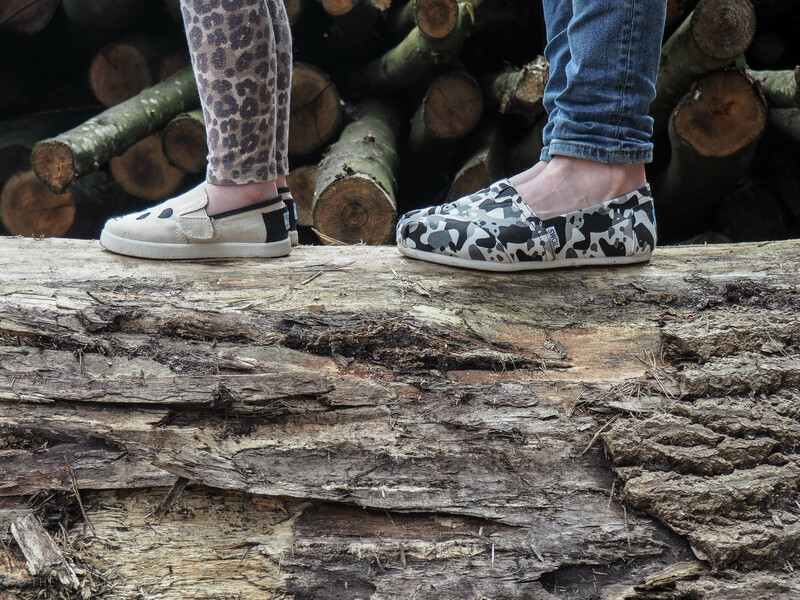 We absolutely love these TOMS shoes, I really don’t think there is any better feeling when getting new shoes, for them to be stylish, comfortable, ethical and most importantly wearing them in support of such a fantastic brand and an equally important cause?! For more information or to buy, visit The TOMS Animal Initiative. Please Note: I have not been paid for this post, although I received a pair of shoes for myself and my daughter in exchange for posting one photo on Instagram. This additional blog post has been written because conservation and eduction on the natural world is something I am hugely passionate about. All words, opinions and photography are my own.